Atlanta's school teachers aren't alone in their attempts to cheat the system. No one likes a cheater.So you’d think plenty of people would be pleased to hear that educators in Atlanta, on trial for cheating on standardized tests, were found guilty of those charges and sentenced “harshly,” according to the New York Times. But even before the sentencing was finalized, there was widespread condemnation of the idea that prison terms were even in consideration. An "outrage" one commentator called it. "Racist," declared another. The test-enforced "standards" Rothstein refers to are not mere data points. To the judge, and those who support his ruling, they are not only accurate measures of academic progress but also represent a moral imperative whose transgression is evidence of evil intentions, hence the racketeering charge. So was this a case of greedy educators being all about the money? It's true the educators and their schools possibly could have seen increases in salaries and bonuses as a result of increases in test scores. What's also possible is that these educators were much more motivated to cheat in order to avoid something bad happening to them or their schools. Because performance assessments of schools and individual teachers are now linked to changes in student test scores, schools that do poorly on the state tests are subject to harsh penalties, including outright closure, while teachers can be fired or required to withstand rigorous supervision. 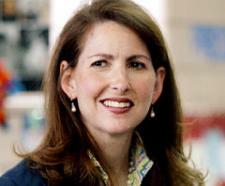 The charter chain’s founder and director, Eva Moskowitz, defends her schools. In an email to Success Academy employees, as reported by news outletCapital, Moskowitz claims the Times article “contains many inaccurate statements and unfair portrayals of our schools." Eva Moskowitz, well-paid CEO of Success Acadamy. If every crime has to have a motive, what's the motive for Success Academy to go to such lengths to get the test scores it wants? Much like the cheating educators in Atlanta, charter schools have powerful incentives to increase test scores. First, charter schools in New York City, and many other places for that matter, want to avoid the harm that can result from low student performance on tests. After all, ardent charter school proponents frequently declare their allegiance to the market-based ideology that schools should be accountable for "results" and parents should have a "choice" to leave "low-performing" schools." So for any operation adhering to this ideology to underperform on tests—which many charter schools actually do, by the way—would be a prime example of being hoisted on your own petard. As an in-depth report, also from Capital, explains, Success Academy charters operate under the belief that “what's wanted in the city's most troubled neighborhoods is a stiff dose of discipline and parochial-school rigor … Without futzing around with intellectually messy questions about … the opportunity cost of ‘teaching to the test.’"
Defenders of Success Academy say the schools are part of a “reform” movement in education, reliant on a three-legged stool of "moral justice, political will, and test scores.” But equating a statistical data point to moral and political values is not only a dubious proposition, it comes with huge risks. So yes, you can argue Success Academy’s kids are being cheated, too. In exchange for years of humiliation and mindless test prep, in stultifying conditions, without the rich, adventurous learning experiences enjoyed by their more well-to-do peers, they’re being given a chance to join the ranks of the college and career bound that seems no more assured—and could actually be worse—than what they faced to begin with.Put that way, it does sound like cheating. And no one likes a cheater. Jeff Bryant is an associate fellow at Campaign for America's Future and the editor of the Education Opportunity Network website. Prior to joining OurFuture.org he was one of the principal writers for Open Left.